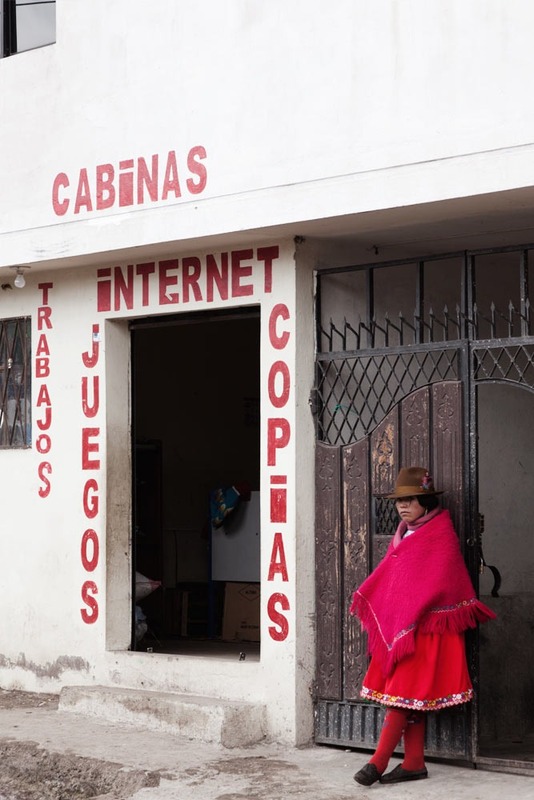 a girl in red clothes standing close to a little internet shop in guamote, ecuador. guamote is located in the chimborazo province. its population at the 2001 census was 35,210.